A man who allegedly waved a knife at the driver of a bus full of schoolchildren in a rural neighborhood in southeastern San Diego County pleaded not guilty Thursday to charges including attempted kidnapping during a carjacking, elder abuse and three counts of child endangerment. Matthew Douglas Barker, 36, was ordered held on $750,000 bail. 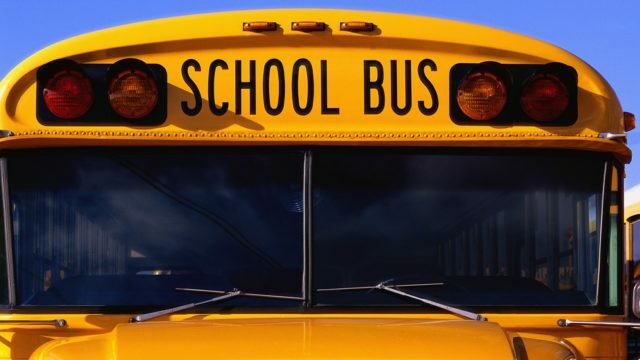 Sheriff’s officials said the school bus was pulling away from a stop in the 900 block of Jeb Stuart Road in Campo when the driver noticed a man running toward it about 8:30 a.m. last Friday. Thinking the approaching pedestrian was a parent trying to stop the bus for a child who had missed it, the driver pulled to a halt and opened the front door of the coach, Sgt. William Uelen said. The man — believed to be under the influence of some sort of drug — then began to board the vehicle, which was full of Campo Elementary School students, prompting the driver to inform him that he was not allowed to do so. When the intruder refused to halt, the driver tried to physically block him from getting into the passenger area, Uelen said. Seeing the two men grappling with each other, a grandmother of one of the students hurried aboard to try to help the driver. As the struggle between the three escalated, the assailant pulled a knife, Uelen said. At that point, a second bystander entered the bus and intervened. Following a scuffle, he was able to pry the weapon away from the intruder and pull him off the bus. An older student, meanwhile, ushered the other children to the back of the vehicle, called out for help to some parents who were still nearby and helped the young pupils get out of the bus via a back door and rear windows. Arriving deputies arrested the suspect — later identified as Barker, a Campo resident — without further incident. No injuries were reported. Preliminary evidence indicated that “drugs were a factor in this incident,” the sergeant said. Barker faces close to 13 years in prison plus 18 months in jail if convicted, said Deputy District Attorney Taren Brast. A readiness conference was scheduled for June 8 and a preliminary hearing for June 13.